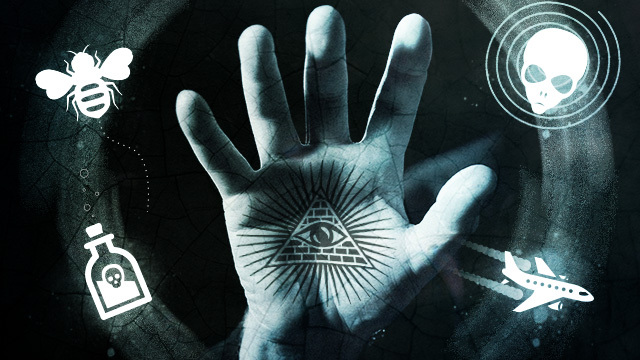 Perception of conspiracy theories as being part of a cultural phenomenon or fad rather than a serious investigation of the motives and actions of the ruling elite. Such perceptions are reinforced by stereotypical portrayals in movies and sitcoms, such as 1997 movie Conspiracy Theorist and Dale Gribble in King of the Hill. This stereotypical view of conspiracy theorists, however, appears to be limited to American culture; in fact the expression 'conspiracy theorist' itself appears to be an invention of the American media. Most equivalent terms in other languages are directly translated, sometimes awkwardly (such as in French "partisan de la theorie du complot"), and are not used to label other people to the extent that they in the United States. It is also mainly in American language that one finds expressions such as "tin-foil hat". It is thought that those cultural caricatures originate from the controversies around the JFK assassinations, possibly with initial or on-going prompting from the CIA (see point #2). Conspiracy theorists do not need a facade when they present whistleblowers, financial accounts, official documents, video footage, declassified documents and relevant quotes from the people they accuse. The accusation above suggests that the theorists only use a facade, which isn't true: evidence and credible interviewees are frequently presented. Pseudo-skeptics may also attempt to drown people in the details of the official theory in order to make them give up pursuit of the truth by 'demonstrating' how 'complicated' things are, and to give their own studies a facade of legitimacy through sheer complexity. "Just give us the facts, Ma'am."